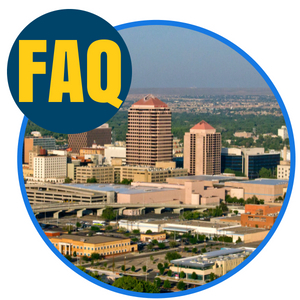 Because there are a lot of contradictions online as to whether or not it’s legal to fly in certain places within the state of New Mexico, we highly recommend that you use the FAA app or call ahead to wherever you’re visiting to fly to see if you have the green light. 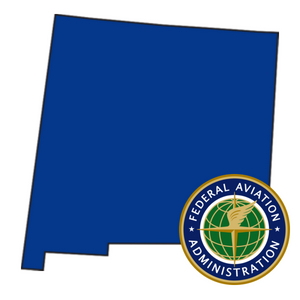 This is enacted nationwide, not only in New Mexico, under Part 101 of the Act, being Special Rule for Model Aircraft, to ensure that drone operations under unsafe conditions are disapproved before the drone can be launched. A. Roads: It shall be unlawful to shoot at, wound, take, attempt to take, or kill any protected species on, from, or across any graded paved, or maintained public road and including the areas lying within right-of-way fences or 40 feet from the edge of the pavement or maintained surface, in absence of right-of-way fences. B. Roads, artificial wildlife: It shall be unlawful to shoot at artificial wildlife on, from, or across any graded, paved, or maintained public road and including the areas lying within right-of-way fences or 40 feet from the edge of the pavement or maintained surface, in absence of right-of-way fences. C. Vehicles, boats, aircraft: It shall be unlawful to shoot at any protected species from within a motor vehicle, power boat, sailboat, or aircraft. EXCEPTION – migratory birds may be taken from a motor-driven boat (or other craft with attached motor) or sailboat when resting at anchor or fastened within or immediately alongside a fixed hunting blind or are used solely as a means of picking up dead birds. D. Harassing protected wildlife: It shall be unlawful, at any time, to pursue, harass, harry, drive or rally any protected species by use of or from a motor-driven vehicle, powerboat, sailboat, drone, or aircraft. E. Hunting after air travel: It shall be unlawful for anyone to hunt for or to take any protected species until after the start of legal hunting hours on the day following any air travel except by regularly scheduled commercial airline flights or legitimate direct flight to the final destination. F. Use of aircraft for spotting game: It shall be unlawful to use aircraft or drone to spot or locate and relay the location of any protected species to anyone on the ground by any means of communication or signaling device or action. (1) It shall be unlawful to hunt for or to take, or assist in the hunting for or taking of, any protected species with the use of information regarding location of any protected species gained from the use of any aircraft until 48 hours after such aircraft use. (2) It shall be unlawful to hunt for or to take, or assist in the hunting for or taking of, any protected species with the use of information regarding location of any protected species gained from the use of any drone at any time. H. Vehicle off of established road: During the seasons established for any protected species, it shall be unlawful to drive or ride in a motor vehicle which is driven off an established road when the vehicle bears a licensed hunter, fisherman or trapper. EXCEPTION: 1) Snowmobiles; 2) To retrieve lawfully taken game not in an area closed to vehicular traffic. 3) All landowners, lessees or their employees, while on their owned or leased lands in connection with legitimate agricultural activities. I. Closed roads: During the seasons established for any protected species, it shall be unlawful to knowingly occupy, drive, or cause to be driven any motor vehicle on a closed road when the vehicle bears a licensed hunter, angler or trapper. (1) Shooting from a vehicle: The holder of a handicap license is authorized to shoot at and kill protected species during their respective open seasons from a stationary motor-driven vehicle that is not on a public road or highway. The director may issue permits to shoot from a stationary vehicle to applicants who provide certification that the applicant is permanently disabled in accordance with the American Disability Act. Such certification shall be signed by an M.D or O.D, licensed to practice in the applicant’s state of residence. (2) Driving off established roads: Holders of a handicap license may, with permission of the landowner, lessee, or land management agency, drive off established roads to hunt for or take squirrels or game birds, excluding turkey, during open seasons. (3) Assistance for handicapped hunter: The holder of a handicapped license may be accompanied by another person to assist in reducing to possession any big game animal which has clearly been wounded by the licensed handicapped hunter. K. Aircraft, drone and vehicle exemptions to this rule: The Director may exempt a person from the prohibition of utilizing an aircraft, drone or vehicle for management purposes. At this time of writing, there are currently a number of bills in circulation within the state of New Mexico surrounding drones. 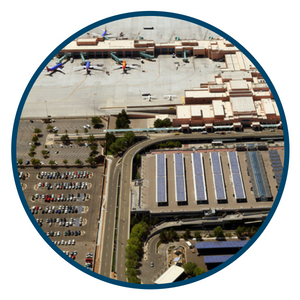 RELATING TO PUBLIC SAFETY; REGULATING THE OPERATION OF UNMANNED AIRCRAFT; PROVIDING PENALTIES. In a manner that interferes with the official duties of a first responder. A drone flying over property where written permission has been granted by the property owner, manager or the property owner’s agent. C. A person who for the first time violates Subsection A of this section is guilty of a petty misdemeanor and is punishable pursuant to Subsection B of Section 31-19-1 NMSA 1978. A person who for the second or subsequent time violates Subsection A of this section is guilty of a misdemeanor and is punishable pursuant to Subsection A of Section 31-19-1 NMSA 1978. “First responder” means a police officer, firefighter, paramedic or search and rescue personnel. SECTION 2. EFFECTIVE DATE. — The effective date of the provisions of this act is July 1, 2017. RELATING TO PRIVACY; ENACTING THE FREEDOM FROM UNWARRANTED SURVEILLANCE ACT; PROVIDING PENALTIES. SECTION 1. [NEW MATERIAL] SHORT TITLE. — This act may be cited as the “Freedom from Unwarranted Surveillance Act”. D. “Unmanned aircraft” means aircraft that is operated without the possibility of direct human intervention from within or on the aircraft. 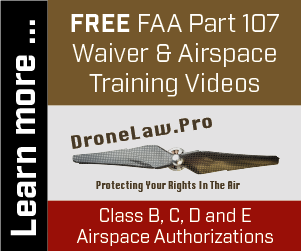 A person, state agency, law enforcement agency or political subdivision of the state shall not use a drone or unmanned aircraft with the intent to gather evidence or other information pertaining to criminal conduct or conduct in violation of a statute or regulation on private property in which the property owners have a reasonable expectation of privacy, except to the extent authorized in a warrant. Data or information collection incidental or unrelated to a lawful activity shall not be used to obtain a warrant. B. 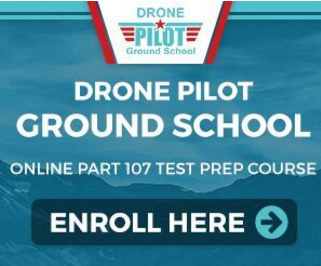 A person, state agency or political subdivision of the state shall not use a drone or unmanned aircraft to conduct surveillance of a person or of property owned by a person, a farm or an agricultural operation without the consent of that person, property owner, farm or agricultural operation. SECTION 4. [NEW MATERIAL] USE OF DRONES OR UNMANNED AIRCRAFT UNDER EXIGENT CIRCUMSTANCES. — The Freedom from Unwarranted Surveillance Act does not prohibit the use of a drone by a law enforcement agency when exigent circumstances exist. For the purposes of this section, exigent circumstances exist if a law enforcement agency is engaged in hot pursuit or possesses reasonable suspicion that, under particular circumstances, swift action is necessary to prevent imminent danger to life. SECTION 5. [NEW MATERIAL] WARRANTED SURVEILLANCE INFORMATION — CHAIN OF CUSTODY. — Any image, data or other material acquired by a state agency, political subdivision of the state or a law enforcement agency in compliance with the Freedom from Unwarranted Surveillance Act shall be maintained together with a complete and unbroken record of chain of custody consistent with law enforcement procedures. An aggrieved person may in a civil action obtain all appropriate relief to prevent or remedy a violation of the Freedom from Unwarranted Surveillance Act. The aggrieved person shall be exempt from prosecution or liability for engaging unilaterally in removing an offending drone or unmanned aircraft operating in violation of that act unless that unilateral action is otherwise prohibited by law. B. No information obtained or collected in violation of the Freedom from Unwarranted Surveillance Act shall be admissible as evidence in a civil or criminal proceeding in any court of law of the state or in an administrative hearing except to establish a violation of that act. Any such information shall be made available only for in-camera review and shall be released only to the aggrieved party. C. A person who violates Section 3 of the Freedom from Unwarranted Surveillance Act is guilty of a petty misdemeanor and is punishable pursuant to Section 31-19-1 NMSA 1978 and shall forfeit and relinquish all images, data and information collected to the aggrieved party. If a violator uses or disseminates any material collected in violation of the Freedom from Unwarranted Surveillance Act, that person is guilty of a misdemeanor punishable pursuant to Section 31-19-1 NMSA 1978, and, for a second or subsequent violation, a violator is guilty of a fourth degree felony punishable pursuant to Section 31-18-15 NMSA 1978. RELATING TO WILDLIFE; PROHIBITING THE USE OF DRONES IN HUNTING; PROVIDING PENALTIES. Obtain information regarding the location of a protected species, which information is used to hunt for or take, or assist in the hunting for or taking of, the protected species. B. A person who violates the provisions of this section shall be sentenced in accordance with the provisions of Section 17-2-10 NMSA 1978. C. If a person who violates the provisions of this section possesses a license, certificate or permit that was issued by the state game commission, that license, certificate or permit shall be subject to revocation by the commission pursuant to Sections 17-1-14 and 17-3-34 NMSA 1978. “Protected species” means all animals as defined as protected wildlife species and game fish pursuant to Section 17-2-3 NMSA 1978, fur-bearing animals pursuant to Section 17-5-2 NMSA 1978 and endangered species or subspecies as provided in state game commission regulations. E. The director of the department of game and fish may exempt a person from the provisions of this section for the purpose of wildlife management. URGING AWARENESS BY CERTAIN STATE AGENCIES OF CHANGING TECHNOLOGIES, INCLUDING DRONES, THAT MAY AFFECT WILDLIFE AND REQUESTING A STUDY TO RECOMMEND METHODS FOR THE PROTECTION OF WILDLIFE FROM DRONES. BE IT FURTHER RESOLVED that copies of this memorial be transmitted to the director of the department of game and fish, the chair of the state game commission, the director of the state parks division of the energy, minerals and natural resources department and the commissioner of public lands.